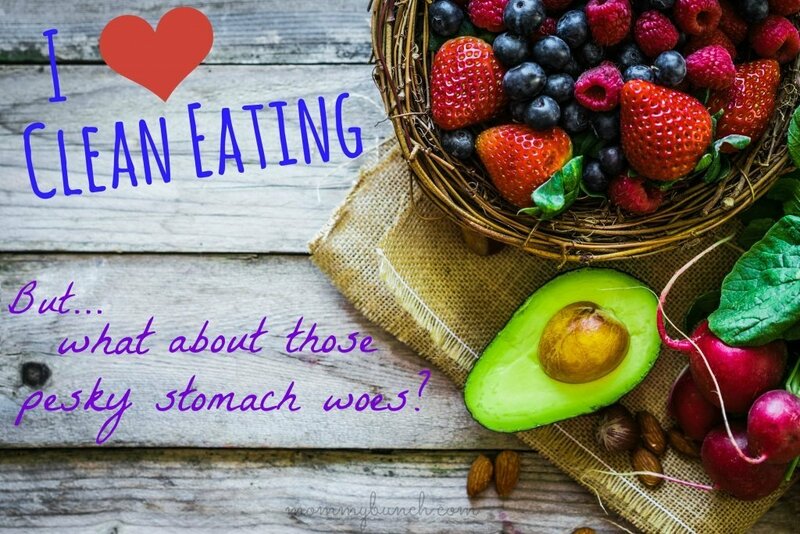 Stomach Woes When Starting a Clean Eating Diet? Most of us, myself included, go a little overboard during the holidays and indulge a bit too much. I had my fair share of cookies and sweet drinks, and if you are like me, you did too. Now that I’m back to eating a bit better, my stomach has been acting a bit troublesome. I’ve been fitting in more oatmeal, nuts, fruits and veggies (raw and roasted), and have been working on cutting out the sugar once again. We basically focus on a clean eating diet, but during the holidays, my family and I were a little too relaxed about it. With all of the changes back toward clean eating, my stomach has been rumbling. Even my kids have been complaining of a ‘hurt stomach’. I seriously forgot what it is like to wean yourself off all of this junk food because I haven’t had to do it in so long…what was I thinking?! Since my whole family has been having stomach troubles we made sure to have some Pepto-Bismol in the house. When heading to the grocery store for our weekly run to get fresh veggies and fruit, Pepto was high on the list of items to add to our cart. 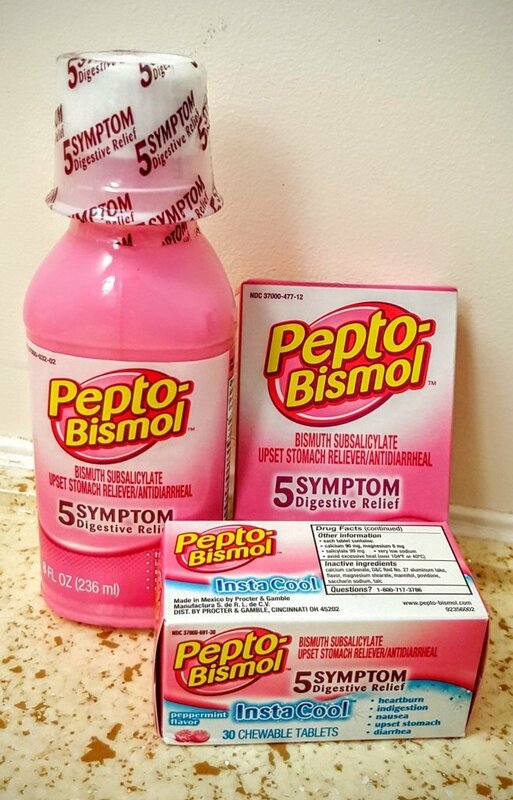 Pepto-Bismol is great because it has 5 symptom relief; heartburn, indigestion, nausea, upset stomach, and diarrhea. Plus this stuff has been around forever so I feel more confident that it is going to work and it is safe to use. Clean Eating Survival Guide offers 7 Ways to Beat Belly Bloat, and they are all great tips, like avoiding sugar-free desserts (i.e. artificial sugar is added), opt for nut milk, drink peppermint, fennel, or dandelion tea, and more. While the bloating and upset stomach from the increased fiber in my diet should subside after a week or two, in the meantime I’m sticking with my Pepto. If you have your own stomach troubles, pick up some #pinkrelief! The Content post here is not intended to be a substitute for professional medical advice, diagnosis, or treatment. Always seek the advice of your physician with any questions you may have regarding a medical condition. Never disregard professional medical advice or delay in seeking it because of something you have read on this Website. I received this product for free from Smiley360 in exchange for my honest review. Fill the Stockings and Get Lips Mistletoe-Ready with ChapStick Seasonal Flavors!